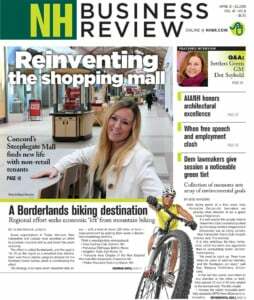 While it may seem counter to New Hampshire’s “Live Free or Die” mentality, the cooperative business model is becoming a popular way for local communities to provide an alternative to the traditional supermarket. Over the past five years, there has been a surge of interest in cooperative grocery stores as consumer interest in organic and locally sourced foods has grown. Since 2009, food co-op stores opened in Littleton and Keene, and the Manchester Food Co-op is currently searching for a downtown location for a new grocery. Great River Co-op in Walpole is raising funds with the hope of opening a store in 2015, and Berlin, Gorham and Brookline have had discussions about launching a co-op in their communities. Hunger for whole foods has also helped long-existing food co-ops like Hanover – which is almost 80 years old – and Concord. Concord expanded its store in 2005 and has opened a second store in New London. The Hanover Co-op has three locations to date (the other are in Lebanon and White River Jct., Vt.), and members recently approved a $5.3 million expansion project that will add 2,700-square-feet of additional retail and working space to the flagship store in Hanover. Food co-ops still represent a small segment of the grocery store industry in New Hampshire, yet only the Tewksbury, Mass., grocer Market Basket comes close to the recent level of growth local food co-ops have experienced. The reasons behind each community’s decision to form a food co-op are as diverse as the New Hampshire landscape. Monadnock Co-op opened in April 2013 and has about 2,000 members. Anyone can become a full voting member on co-op decisions with an investment of $200, which can be paid in installments. Faber said the store draws shoppers from roughly a 30-mile radius and employs 60 people. 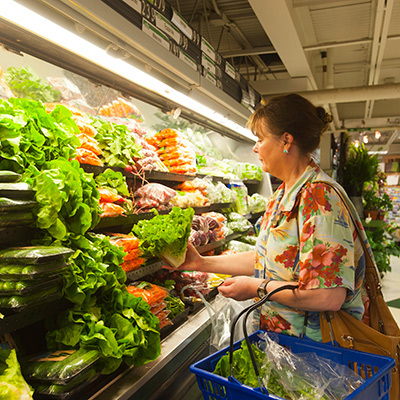 The Littleton Food Co-op opened its 13,500-square-foot retail store in May 2009 to offer a shopping alternative to supermarket chains. The perception in town at the time was that the local supermarket’s food prices were too high. “Shaw’s was the only game in town and were kind of taking advantage of that,” said Ed King, Littleton Food Co-op’s general manager. Instead of stocking shelves strictly with organic and natural foods, Littleton decided to cater to a wide range of tastes, he said. Now in its fifth year, business at the Littleton Food Co-op is booming. The co-op has 4,275 members, an impressive number for this rural community, and is projected to do about $9 million in sales this year. Members are looking to expand the store in two years, adding about 5,000 square feet of space to the current location. King said Littleton Food Co-op is proud of the local jobs it provides. The store has 55 employees, 35 of whom are full-time and earn a good wage. The store also wants a wide range of customers, not just higher-income patrons, King said. It offers healthy food cooking classes in collaboration with New Hampshire Cooperative Extension and the Neighboring Food Co-op Association, a New England-based business group of which Littleton is a member, is launching a program that gives a 10 percent discount to shoppers who buy groceries with SNAP or WIC benefits. “So often, eating healthy is a financial choice. We’re trying to make that choice easier,” said King. Serving the needs of a diverse community is also a primary goal of the Manchester Food Co-op. “We want it to be a place for people of every income level and ethnicity to shop,” said Carla Ferrara, secretary of the Manchester Food Co-op board of directors. The co-op is nearing its goal of 1,000 members – the benchmark it has set before opening a store – and members are now reaching out to different segments of the community to see what kind of products they’d like to see on the shelves. Striving to serve the ethnically diverse Manchester community has indirectly made finding a location for a 10,000-to-15,000-square-foot grocery store difficult. “We are trying to stick to our goals and our mission, which is to be easily accessible to everyone by public transportation and by foot, but we also want to have parking space. We found by talking to other co-ops that that’s key,” said Ferrara. Opening a store downtown would make the store easily accessible by foot and bus, she added, but those locations don’t always have parking. “There’s not a lot of spaces like that right downtown,” Ferrara said. The growth in food co-ops has been a boon for New Hampshire’s artisanal food industry, creating new, relatively large markets for local wine, beer and cheese makers, meat producers and bakers, as well as producers of specialty foods ranging from salsa to pasta sauce. Even a relatively new store like Monadnock Food Co-op purchases about 800 different products from 177 local producers and farmers. Littleton Food Co-op recently secured a $15,000 grant to launch a revolving loan fund for local food producers. Run with the help of the Grafton County Economic Development Council, Littleton will donate $15,000 each year to the fund for the next 15 years to help farmers purchase equipment, seeds, livestock or to make other capital investments. King said local is what consumers now want, whether its eggs from a nearby farm or a locally-made frozen pizza. “We sell more Woodstock Inn Station beer than Budweiser,” he said. Unlike a traditional business with a single or small group of owners that may turn to banks or government-sponsored business development programs to get off the ground, cooperatives generate startup capital from a large pool of small investments. These investors are given a vote and the organization is steered by a board of directors. Cooperatives often follow the “Seven Cooperative Principles,” which puts the business focus on meeting the needs of the members and the community at large. Concord Food Co-op serves the community beyond its grocery store mission with its whole foods café, catering service and healthy living classes. Monadnock offers discussions about food policy, like labeling GMOs in the food we eat and all co-ops mentioned regularly host or sponsor community events, like Littleton Food Co-op’s Children’s Day. Meeting the needs of the Dartmouth College community was the spark that started the Hanover Co-op in 1936. Seventeen members formed the Hanover Consumer Club as a way to bring reasonably priced fresh produce and healthy food to the area at a time when those products were much harder to find. Today, Hanover has a membership of 30,000 families and sales of more than $70 million annually. The co-op has given advice and aid to fledgling food co-ops across the region and has seen consumer tastes evolve during that time.